Timeless pieces of the Royal Deco inspired from the Art Deco age brilliantly express its bold optimism and prominent sensuality. Glamour and exuberance of the Art Deco period transcends into stylish modernism, in the form of rings, earrings, bangles and bracelets. 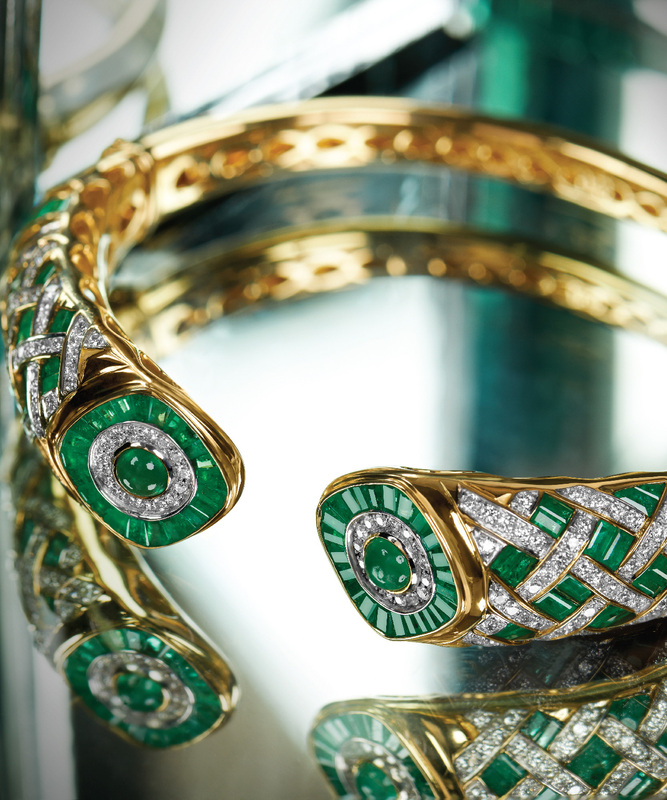 A treasured combination of streamlined forms and geometric patterns, the Royal Deco collection celebrates an eternal shimmer of emeralds, rubies and pearls. 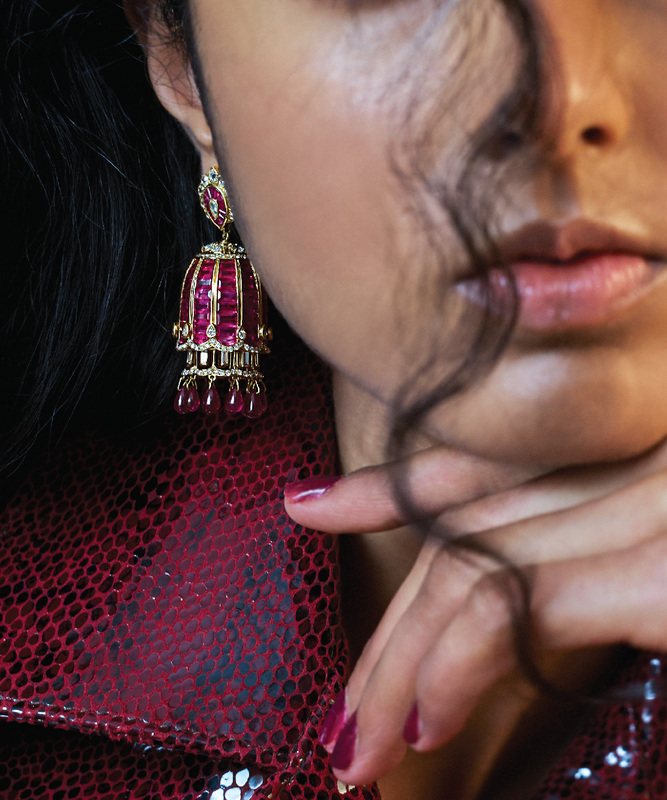 Persistent lines of diamonds and colourful gems mimic bold geometry, as they curve in a bright rhapsody of stylized patterns. 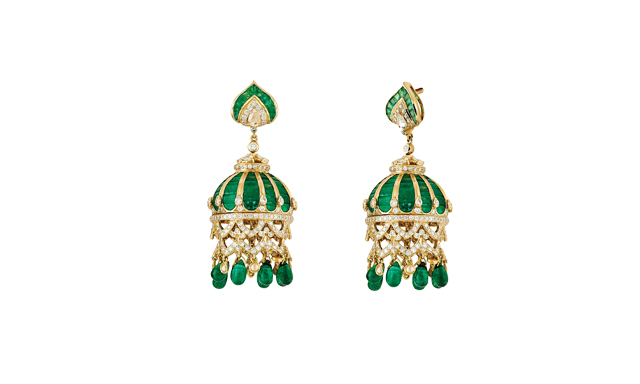 30 carats of fine Zambian emeralds capture the luminance of round brilliant cut and rose cut diamonds in these beautiful drop earrings. 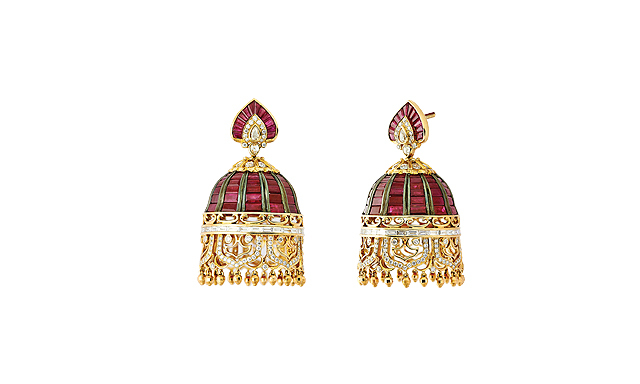 35 carats of fine Burmese rubies and 6.25 carats of baguettes, brilliant cut and rose cut diamonds are crafted to perfection in these Royal Deco earrings. 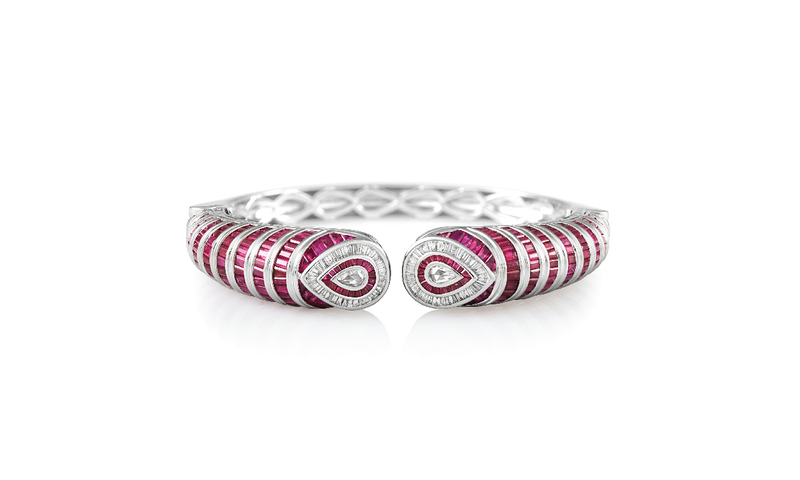 Accents of Burmese ruby baguettes meet in closure as 8.60 carats of fine baguettes and round brilliant cut diamonds form sleek, geometric lines. 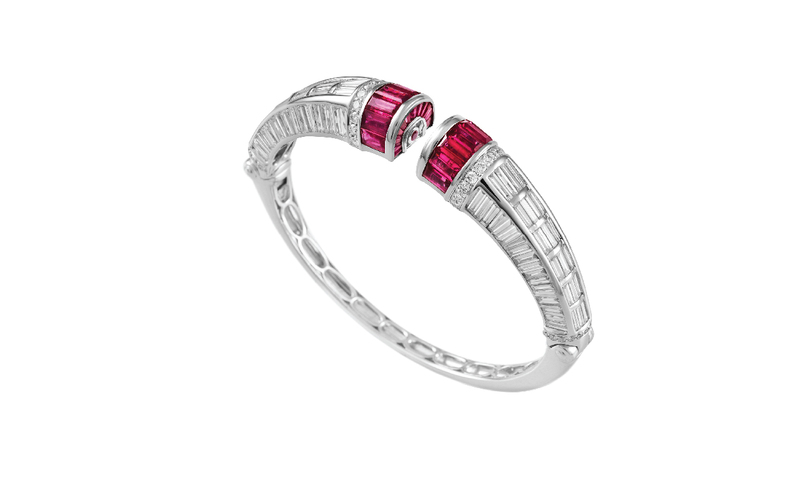 Burmese ruby baguettes captivate an allure, as they create transcending patterns with fine baguettes and pear rose cut diamonds. Enchanting Zambian emeralds with round brilliant cut diamonds embody true craftsmanship as they cascade in linear and spherical patterns in this alluring bangle.